Las Vegas is known for lots of things: neon lights, the ubiquitous ding of slot machines, and the bountiful menu of 24/7 live entertainment. In fact, Sin City has become so synonymous with certain types of entertainment that it’s become the gold standard. When it comes to places to see a magic show, there is simply no better city to witness grand illusions than Las Vegas. Historically, iconic magic shows in Vegas have included big names like David Copperfield and Penn & Teller. These days, while you can still find some traditional magic shows, you’ll also find a new brand of events that mix comedy, music, and hypnosis into the performances. This show is based on the TV show of the same name. In the television series, a wildly intelligent detective expertly read body language, facial cues, and more. In the Las Vegas show, a delightful magician treats audiences to an evening of fun and surprises. The star, Gerry McCambridge, is masterful in both magic and mind tricks. Sign up for the dinner package experience and you can enjoy an entire evening of mind-bending illusions and comedy. Criss Angel is perhaps known best for his TV specials, where he goes into celebrities’ homes and blows their minds with inconceivable tricks and feats of magic. He has also performed on the street, surrounded by strangers and picking people out of the crowd to interact with him. These days, he is also performing in Las Vegas in a show affiliated with Cirque du Soleil. He levitates, he gets run over by a steamroller, and he freaks people’s minds, as advertised. If Nathan Burton looks familiar, it’s because he has graced the stage of America’s Got Talent. With a lifetime of honing his magic tricks behind him, Burton has perfected his show to include a seamless blend of comedy and illusions. His family-friendly Las Vegas show includes escaping from a giant microwave and performing an impressive snow trick. The matinee time slot makes it the perfect pre-dinner activity. The only magician to ever win America’s Got Talent was the one and only Mat Franco. Now you can see his award-winning performance five days a week in Sin City. Fans of improv will be especially mesmerized by this magic show, which incorporates off-the-cuff audience interactions. On top of being a stellar magician, Mat Franco is a charismatic and imaginative performer who creates a one-of-a-kind experience every night. 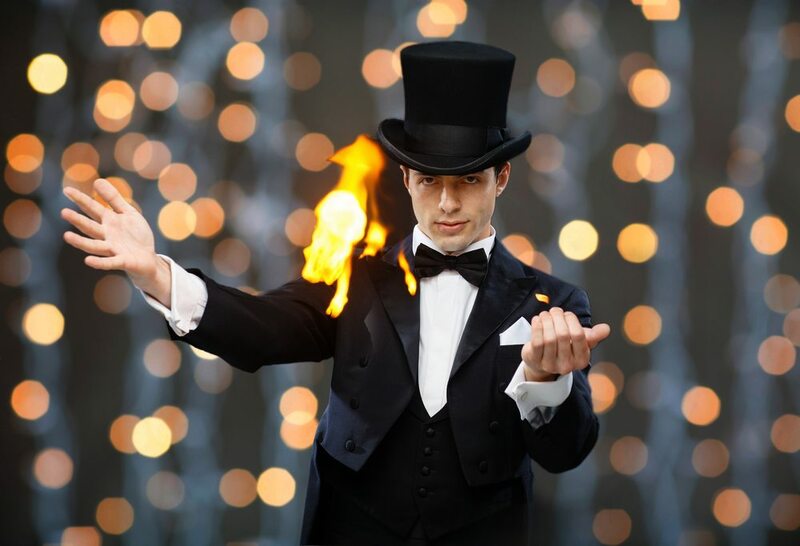 If you’re ready to have your mind blown by an out-of-this-world magic show in Sin City, let the Tour Exchange connect you with excellent tickets at wholesale prices. All you have to do is book your tickets, relax, and be dazzled by a spectacular show in the epicenter of magic. Get in touch with us today.